We are a leading Manufacturer & Supplier of Staircase Lifts such as Wheelchair Stair Lift, Stair Lifts, Curved Double Staircase Lifts, Double Staircase Lift and Curved Staircase Lift from India. 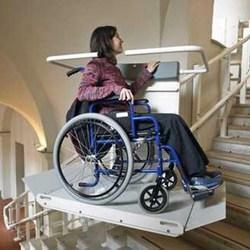 We are one of the leading manufacturers of Wheelchair Stair Lift in Chennai, Hyderabad, Bangalore and Kerala. 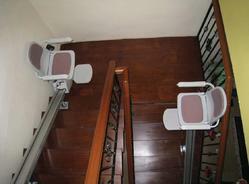 We are instrumental in offering genuine quality Wheelchair Stair Lift to the customers. 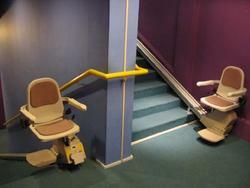 Our range of Stair Lift Wheelchairs is designed in compliance with the international quality standards. In addition to this, the wheelchairs offered by us can easily be folded by the customers as per their requirements. 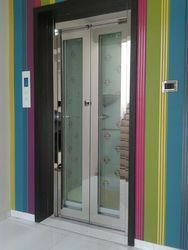 We are one of the leading manufacturers of Staircase Lifts in Chennai, Hyderabad, Bangalore and Kerala. We are instrumental in offering genuine quality Staircase Lifts to the customers. Widely used by disabled, handicapped or old aged people. We are one of the leading manufacturers of Curved Double Staircase Lifts in Chennai, Hyderabad, Bangalore and Kerala. We are instrumental in offering genuine quality Curved Double Staircase Lifts to the customers. We are one of the leading manufacturers of Curved Staircase Lift in Chennai, Hyderabad, Banglore, and Kerala. We are instrumental in offering genuine quality Curved Staircase Lift to the customers. We are one of the leading manufacturers of Double Staircase Lift in Chennai, Hyderabad, Banglore and Kerala and all over India. We are instrumental in offering genuine quality Double Staircase Lift to the customers. Our range of Stair Lift Wheelchairs is designed in compliance with the international quality standards. In addition to this, the wheelchairs offered by us can easily be folded by the customers as per their requirements. 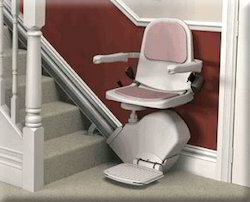 stair lift is totally maintenance free.Once we install the staircase lift no change in your power unit it will be operated by battery power only. 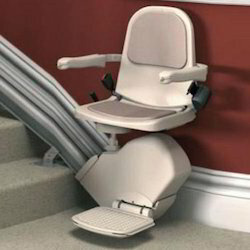 We install the stair lift in India since last 16 years. Features: Light in weight. Used at metro & railway stations, pathways, airports, factories, schools and others. Widely used by disabled, handicapped or old aged people. We are leading manufacturer of Hydraulic lift.We also done Hydraulic wheelchair lift, Platform Lift,Passenger lift, Outdoor lift, indoor lift,Roomless Hydraulic lift.We already done many projects in it. Lift construction is based on your requirement through site visit with ACP sheet/Polycarbonate sheet/SS sheet. Looking for Staircase Lifts ?